DMVPN animation | CCIE, the beginning! Here is an interactive animation of DMVPN (Dynamic Multipoint VPN), followed by a detailed offline lab (a snapshot of the topology under test with hopefully all commands needed for analysis and study). Finally, check your understanding of the fundamental concepts by taking a small quiz. To avoid RPF failure, announce routing protocols only through tunnel interfaces. Turn off “next-hop-self” to makes spokes speak directly. Without it traffic between spokes will always pass through the HUB and NHRP resolution will not occur. Turn off “split-horizon” to allow eigrp to advertise a received route from one spoke to another spoke through the same interface. Set the ospf priority on the HUBs (DR/BDR) to be bigger than the priority on spokes (“ip ospf priority 0”). Make sure OSPF timers match if spokes and the HUB use different OSPF types. Consider the OSPF scalability limitation (50 routers per area). 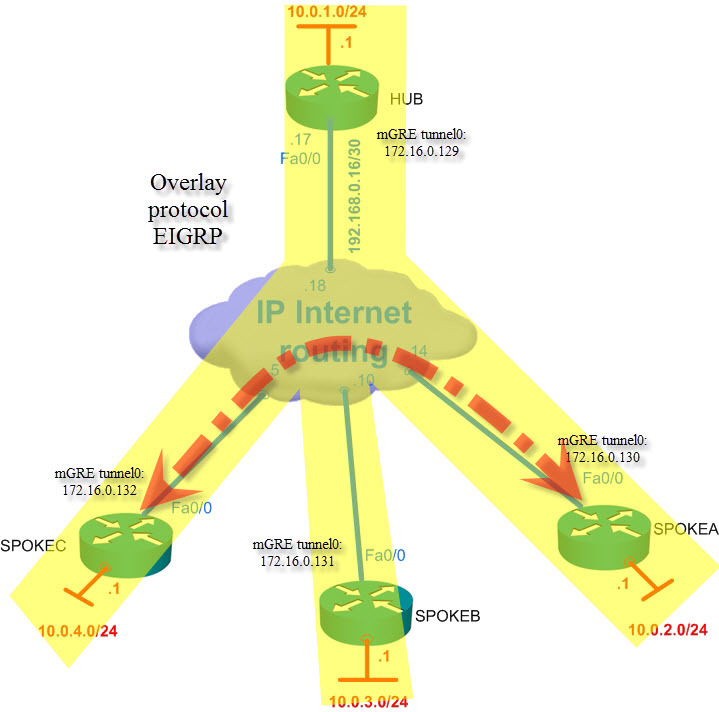 OSPF requires much more tweekening for large scale deployments. DMVPN involves multiple layers of technologies (mGRE, routing, NHRP, IPSec), troubleshooting an issue can be very tricky. To avoid cascading errors, test your configuration after each step and move forward only when the current step works fine. 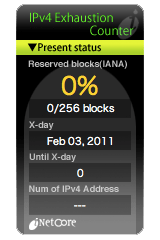 For example: IPSec encryption is not required to the functioning of DMVPN, so make sure your configuration works without it and only then you add it (set IPSEc parameters and just add “tunnel protection ipsec profile” to the tunnel interface). Really Good try to give your nice concept with animation..I hope you will post more Animation concepts in the upcoming days.. Thanks Imran. Sure I will. I am new to networking. Do you need a switch in between routers? I tried copying your configs but my routes are not being learnt. Possibly the missing switch configs. Hi Bobby, in the offline lab, the device representing the Internet Cloud is the router “backbone” configured to route and provide DHCP services to the spokes. Look at the list of commands available to inspect it.